Beef stew is one of the homiest, heartiest fall dishes. Making stews is an excuse to break out full-bodied red wines. Here are three styles to try. Yes, Bordeaux is home to some of the world’s most expensive wines but there are also some very good values. Made primarily from Cabernet Sauvignon and Malbec, the reds tend to have dark fruit and very present tannins that are great with beef. Try the 2012 Château Fantin Bordeaux Supérieur. These full-bodied, big-fruited, earthy, dusty wines are terrific with beef in both steak and stew form. Yes, you can find good Malbec for under $10, but sometimes it’s worth splurging. Try the 2012 Altocedro Año Cero Malbec. Yes, you can pair your stew with straight Cabernet, but sometimes blends are more fun. 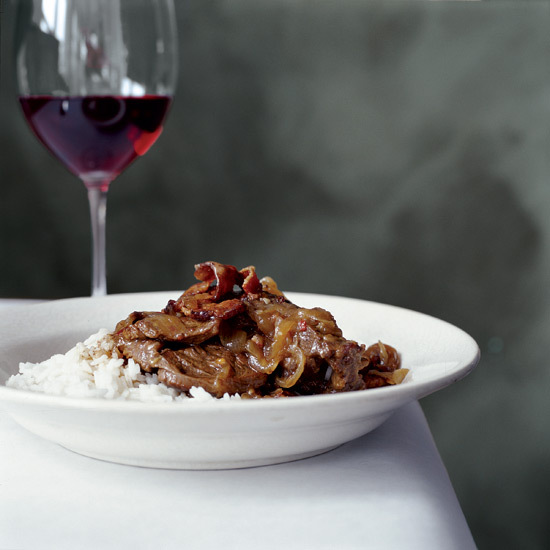 In Washington, winemakers are known for blending the three red grapes that grow best there: Cabernet, Merlot and Syrah, all of which pair nicely with beef stew. Try the ripe and spicy 2011 Hedges CMS.